Three years later Olazabal joined the party before in 1996 Faldo won one of the most celebrated victories when he overcame a six-shot deficit to Greg Norman during an astonishing final round. 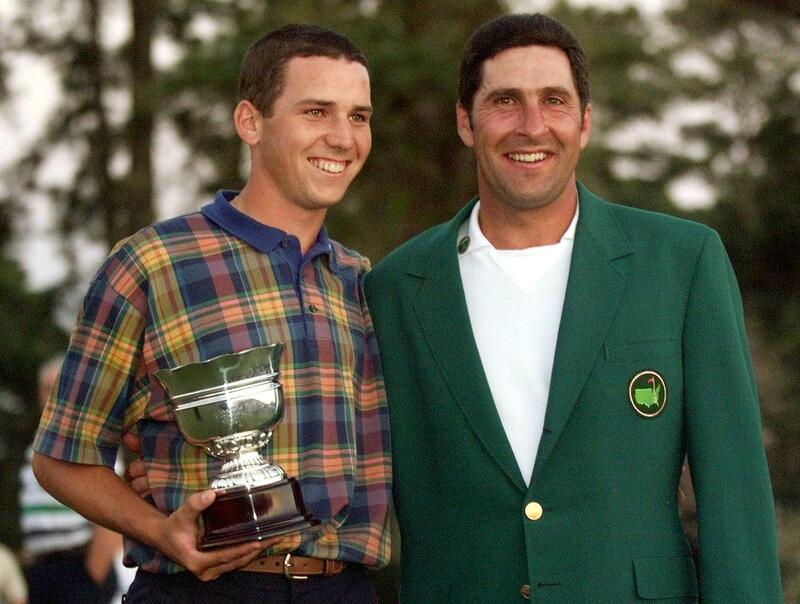 In 1999 Olazabal completed his comeback from injury and illness with his second win. Astonishing though it is, that has been it for Europeans. A glorious romp, but who would have imagined that we could get 15 years into the 21st Century without a victory for Europe? Factor in the thought that Europe’s strength in depth during this period has been the strongest in the game’s history. Probably, I suppose, just another example of the old game’s eternal predisposition to embrace perversity and stamp all over anything even vaguely logical. Of course even the most unpredictable of the game’s gods will struggle to deny Rory McIlroy his moment in the Georgia sun sooner or later. It may be asking too much for him to prevail this year and so complete his Grand Slam at a ludicrously young age – although this doesn’t stop us asking and hoping – but surely he must win at Augusta before he is finished? Mind you, many of us thought the same about Norman and look what happened to him. No-one, of course, knew more about golf’s ability to enchant and confuse than Augusta National’s creator and the most iconic of golfers, Mr Jones. His vision was to build a course so good, so attractive that no-one would refuse an invitation to attend the annual competition he envisaged to celebrate the game that had made him one of the most famous men in America and beyond. Originally he intended to build this place in, or close to, his native Atlanta. But when he saw the plant nursery that Augusta National originally was, he fell in love with this unique piece of real estate. Not the biggest of men, he had to stand on an upturned toilet bowl to see it properly first time he visited the site. Why a toilet bowl? Because before Jones arrived on the scene the plan had been to build a hotel on this land and the infrastructure for this abandoned project was scattered around. When the club was being formed in 1931 the original business plan called for 1,800 members paying 60 dollars each a year. In 1934 as the first ‘Masters’ took place – it was called the Augusta National Invitation Tournament back then – the club was just 1,724 members short of that original goal. Several times over the next couple of decades the place almost shut down. In 1946, for example, the winner, Herman Keiser, was told that his silver trophy would be sent on to him just as soon as the club came up with the money to purchase it.